TechJuice > Education > To MBA or not to MBA; that is the question! Warren Buffet once said, “If you’re interested in business, or likely to be in business, an MBA is very useful.” Today, the MBA degree remains one of the most popular postgraduate degrees in the world, and Pakistan is no different. MBA graduates from leading universities hold a huge advantage over job applicants who do not possess a postgraduate degree in management. However, what truly sets applicants apart is the place from where they have earned their MBA. 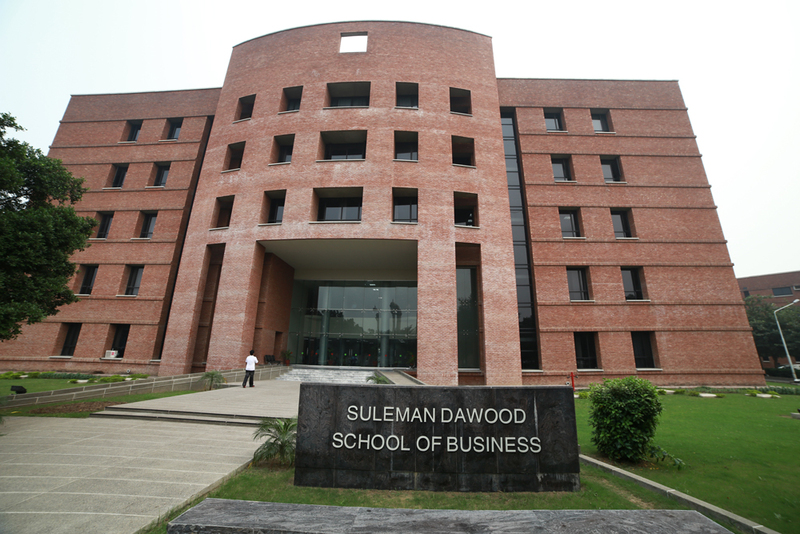 To this end, an MBA from Lahore University of Management Sciences (LUMS) Suleman Dawood School of Business (SDSB) remains the Holy Grail of MBAs. The leading reason for an MBA is expected employment benefits. 99% of LUMS graduates get jobs either before or within six months of graduation. According to placement figures from 2016’s batch of MBA graduates, the average salary for a LUMS MBA graduate has risen to nearly PKR 140,000 in 2017. LUMS is the only Pakistani university to have been listed in Quacquarelli Symonds’ (QS) ranking of the world’s top business schools in 2017. LUMS is ranked as the number 1 University in Pakistan, among top 50 in Asia and among the top 250 universities in the world, according to a new ranking of the QS Graduate Employability Rankings 2018.The LUMS MBA programme was awarded full accreditation by National Business Education Accreditation Council (NBEAC), placing the School in the highest quality category of ‘W’. Added to this is the weight of LUMS reputation: simply stating that one is a LUMS MBA graduate adds value! Three-quarter of the faculty in LUMS SDSB hold doctorates from the world’s top institutions, including Harvard, Stanford, Cambridge, Yale, and Berkeley, to name just a few. SDSB also has solid links with over 15 of the world’s best universities, including the Gordon Institute of Business, South Africa, Hass School of Business, and the University of California and Berkeley. With a constant influx of industry experts as guest speakers, LUMS SDSB MBA programme also offers regular opportunities to interact with leading businessmen, entrepreneurs, industrialists, and professionals. And with over 2,000+ MBA programme LUMS alumni placed in prominent positions across the country and the globe, the LUMINITE MBA network is second to none! Proven to get results, Experiential Learning is hands-on learning through active reflection and action, as opposed to just academic study. The new experiential learning model at LUMS SDSB is based on practical applications within an entrepreneurial environment. This is divided into three main exercises: Industry Analysis Exercise (IAE), MyStartup, and the MBA Consultancy project (MCP). Case-based methodology – or the Case Method – is a way of teaching that places students within real-life scenarios, based on selected cases, and asks them to discover solutions to real-life challenges by placing them in decision-making roles. LUMS SDSB is the pioneer of the Case Method in Pakistan. During the two-year LUMS MBA programme, students read about 850 case studies. SDSB cases have also been approved by Harvard Business School Publishing (HBSP) for distribution on its online catalogue as a content partner. Last, but certainly not least, is financial support and scholarships, LUMS offers prospective students a range of options for financial assistance. The University offers a 50% tuition fee waiver for students with 700+ on their GMAT score (or GRE equivalent). Other deserving students can get a 50% tuition fee waiver based on merit. LUMS also offers merit scholarships especially for women. Meanwhile, company and class-based scholarships are also available. Finally, prospective students can also apply for the Asian Development Bank-Japan’s Scholarship Programme. So what are you waiting for! Take a step towards becoming a leader in the global business environment by applying to the LUMS MBA Programme by April 12, 2018. This story has been made possible in collaboration with the sponsor.